So, I haven't tell you that I joined PKUBEAUTYBLOGGER since April but it's too hard for me to follow their schedule soooo, this is my first collaboration as my weekly submit as well (their have a new theme every week) which I already missed maybe 10 posting times. Hehe I'm truly sorry! 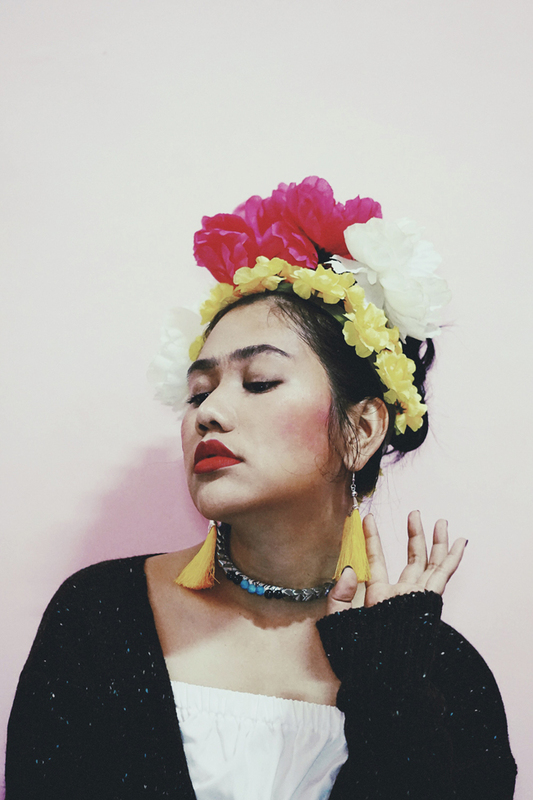 If you've following me since 2011, you'll know I'm not a beauty blogger and the problem is, there's a lot of beauty blogger here than fashion blogger, but it's okay I'm actually tryin to fit in, I have my make up on but still in fashion way. So wish me luck! I hope I could make it weekly if I have enough of free time and when my photographer is in the mood for taking picture. 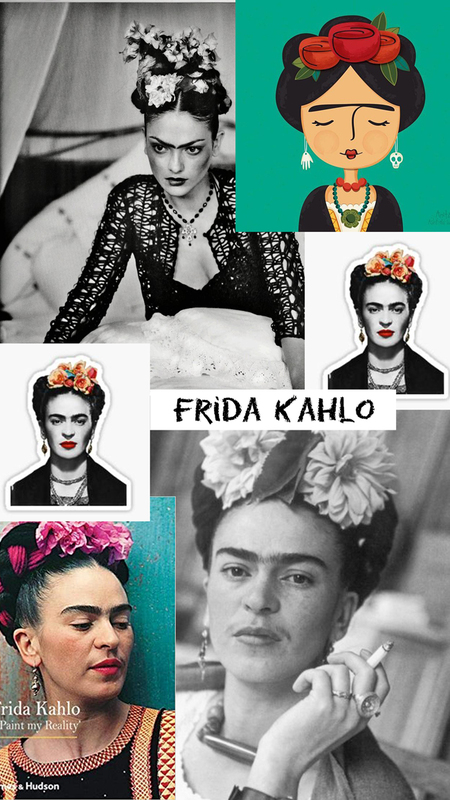 Frida, she's really badass and she has her own powerful character on her face. 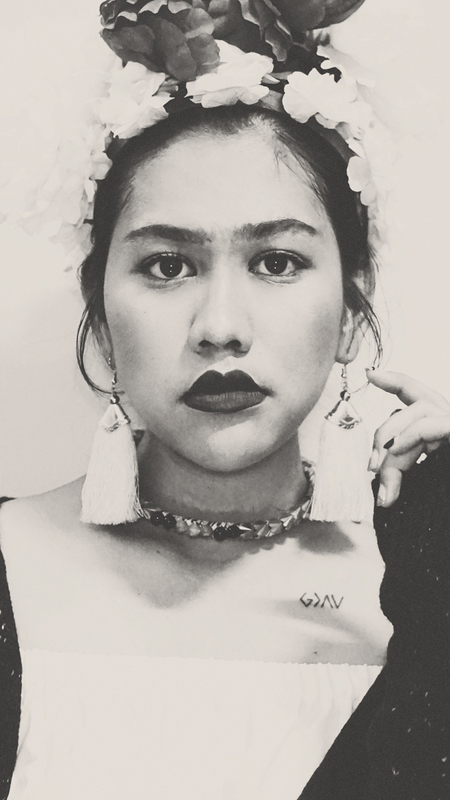 Not gonna lie, I know Frida Kahlo when I watched Coco movie and then I found out that my beauty blog friends gonna create a Frida Kahlo look a like make up. I'm so excited to collab and I really want to find out how will I look. 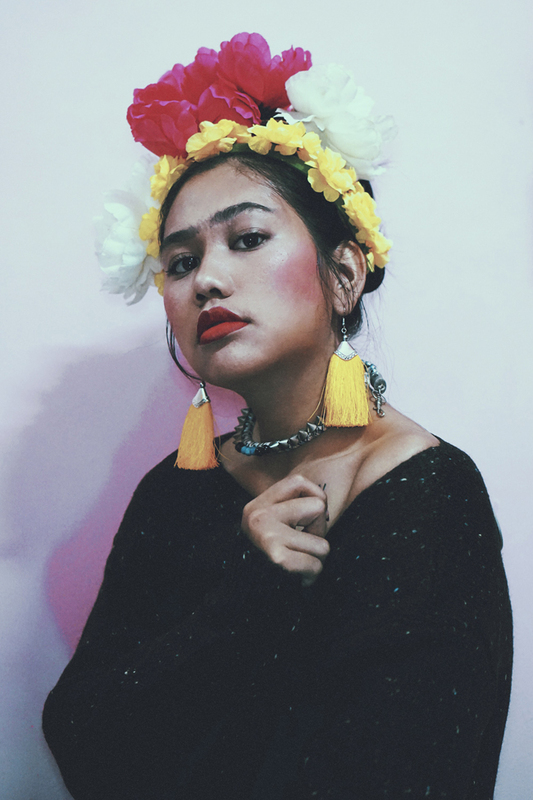 Bold eyebrows, super pink cheeks and full red lipstick. This is so not me! But you'll never find out if you never try. I'm looking forward for another cool weekly submit! Thanks to Pekanbaru Beauty Blogger. If you saw my Instastory yesterday, you'll know that I throw away my no longer use & expired make up, so I just use whatever lefts. Aaaand I never thought that I'll need blush on because I'm not somekind of blush on person so I'm using my YSL lipstick on my cheeks, the last option I got when I realize that I don't have much pinky pinky lipstick. Mostly from wine red, dark red, red, to brown. I think I need to renew my make up collection. But I prefer fashion shopping than beauty. It's not like I'm gonna use it everyday, at least I have some. LOL.